Different models to produce bags from flat film on reels. Packaging width 35 - 600 mm. With options like printer, gas flushing, vacuum and many more. The first patented system which operates in horizontal, inclined and vertical position. In stainless steel or painted version. Different infeed/outfeed conveyors, bag pressing deflator, gas injection, printer, photocell a.s.o. Reel size 700 or 1.000 mm. A wide range of models available from manual table-top models upto fully automatic in-line models. 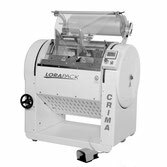 manual and semi/fully automatic machines available. with options like vacuum, MAP, printer a.s.o. 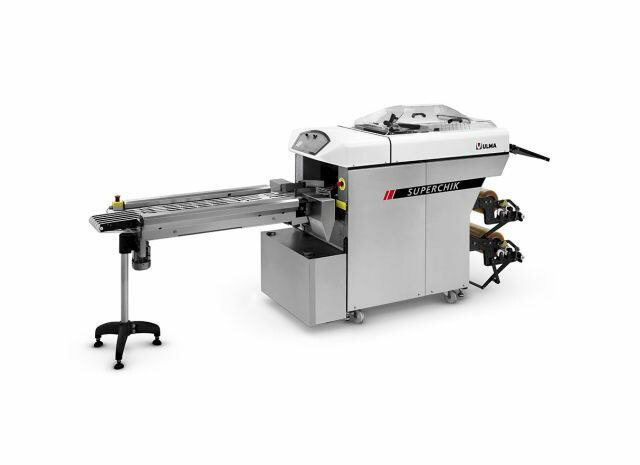 Semi- and fully-automatic net packing machines for fruits and vegetables. Suitable for barrier films with or without pneumatic option. Permant seals with bag width of max. 600 mm. With timing light & signal. 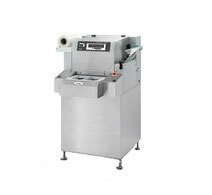 With single or double heated sealing bars, max. lenght 600 mm. Mesh or line seals upto 10 mm width. In stainless steel or painted version, complete with conveyor. Variable speed upto 10 m/min. 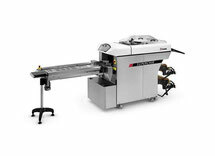 As single labeler or complete with conveyor as in-line model. Top and/or bottom label application.